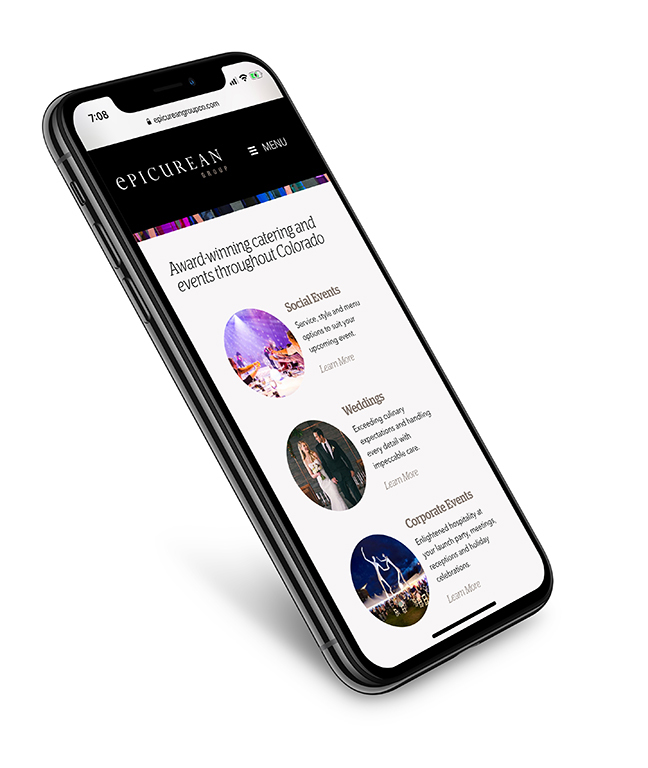 Epicurean needed a site that was easy to update, and also looked great on desktop, tablet and mobile devices. 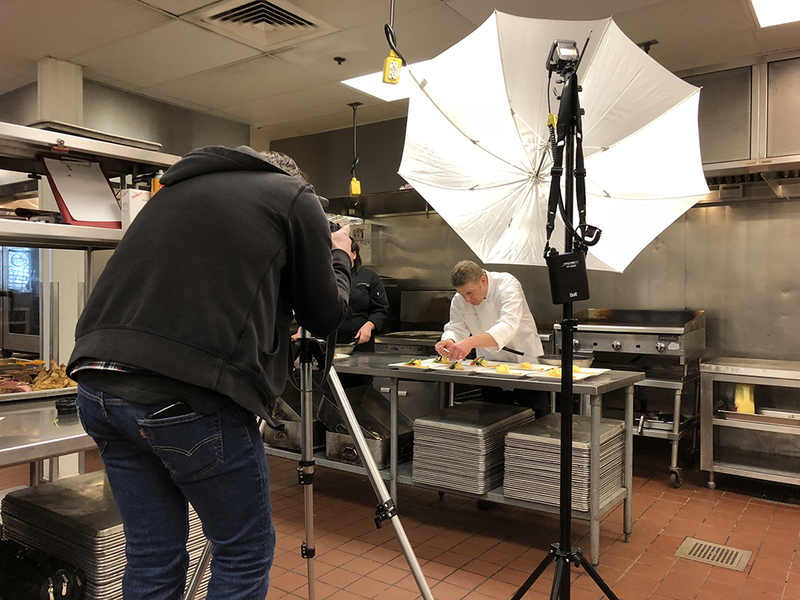 They also wanted to expand on its SEO as well as have some new photography to celebrate it’s ever expanding offerings in the Rocky Mountain region. We are motivated by the idea that we set the industry standard—not follow it. Celebrating nearly four decades of treasured partnerships and memorable events is our deepest honor and privilege. 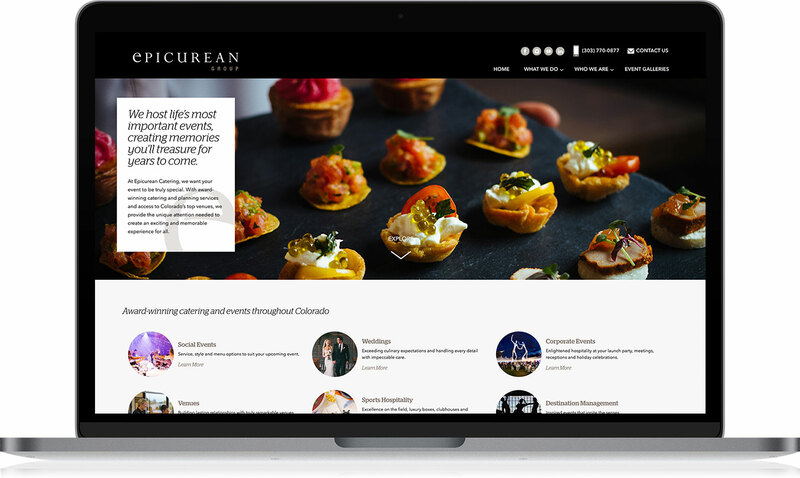 The new Epicurean site needed a section to showcase the different type of events to communicate their offerings as Destination Management company. 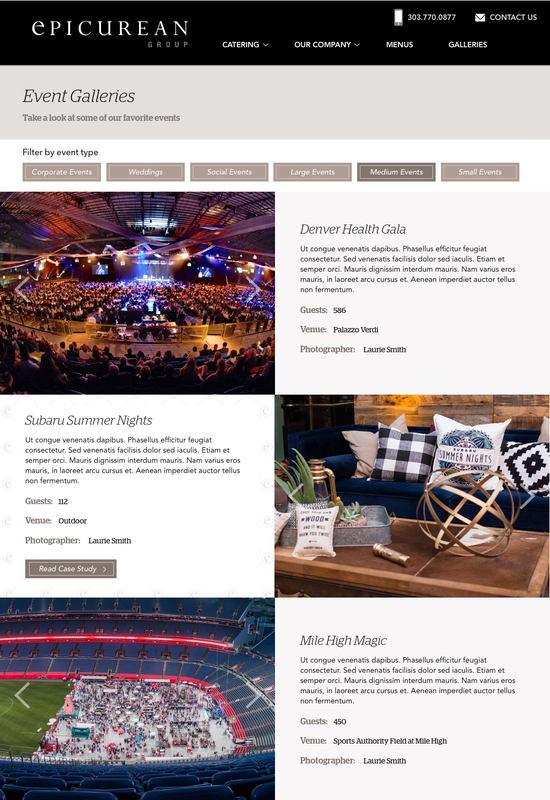 Each gallery filtered as Large, Medium, Small, Weddings, Social, and Corporate events. 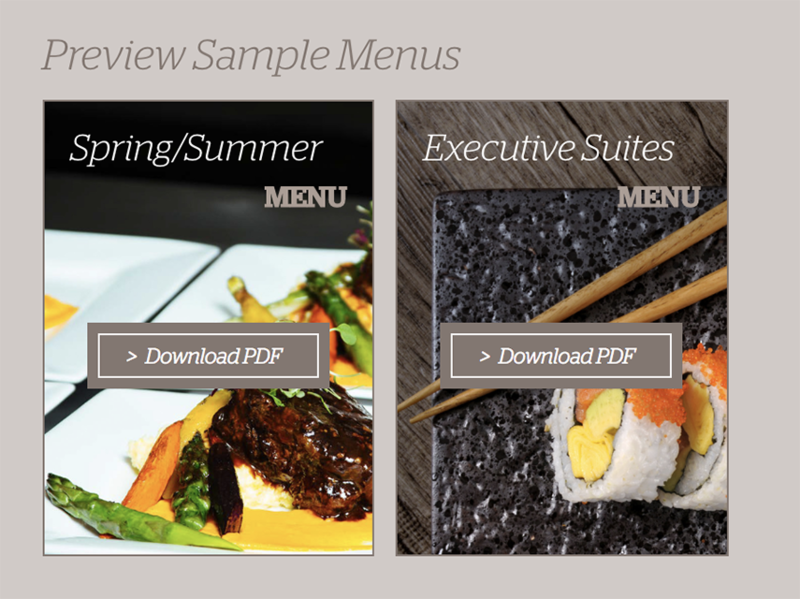 It was important to feature menus on the home page which could be downloaded. 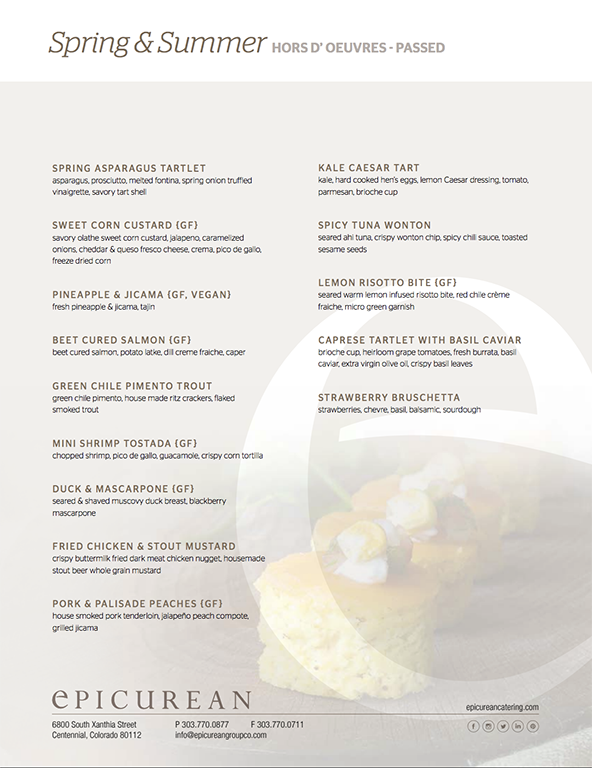 This allowed customers to get a sense of the type of offerings Epicurean featured and that they changed with each season. Wigwam photographed custom images exclusively shot for for the new website launch and online menus.